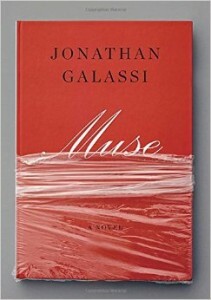 We also talk about Muse‘s affectionate satire of the New York publishing world (okay: he calls it a “revenge fantasy” in our conversation), why he enjoys the rough-and-tumble aspects of the biz, the degree to which authors’ expectations have changed over the decades, the degree to which publishing relies on luck, the best training for an editor, our favorite Philip Roth novels, the value of big advances, where he falls on MFA vs. NYC, why the better literary writers should shouldn’t self-publish, and whether it was a taboo for him to venture into fiction writing after spending so many years editing fiction writers. Credits: This episode’s music is Caçada by Bebel Gilberto. The conversation was recorded at Mr. Galassi’s office at FSG on a pair of Blue enCORE 200 microphones feeding into a Zoom H5 digital recorder. I recorded the intro and outro on a Blue Yeti USB Microphone . Processing was done in Audacity and Logic Pro.